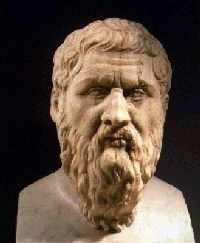 “A need or problem encourages creative efforts to meet the need or solve the problem.” This saying appears in the dialogue Republic, by the ancient Greek philosopher Plato. At R-Tech, we are constantly watching to see if there is something that we can design that will make work in the dental office easier and more productive. To date, we have designed several devices that are now used worldwide. The Handpiece Flush Station marketed under the DCI brand was invented by R-Tech to meet the needs of our doctors when handpiece sterilization became mandatory. Originally called “The Millie One”, after John’s wife, this little device removed excess water and debris from the handpiece prior to sterilization and then removed excess oil from the handpiece after sterilization. DCI International was chosen as a marketing partner and this product was the first of its kind on the market. 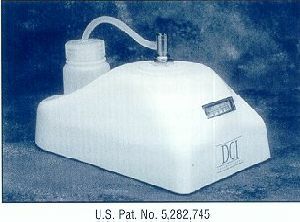 The Handpiece Flush Station is patented in R-Tech’s name but the patent is owned at this time by DCI International. To date over two million dollars worth of flush stations have been put into service throughout the world. The idea for the Stat-Mate was born out of the disgusting waste bottle that was used to capture all of the waste fluids from the SciCan Stat-m. The Stat-m condensor bottles would give off 100% humid air into the sterilization cabinetry causing the wood to warp. Occassionally if the bottle was not properly looked after it would over-flow causing water damage. Constant handling of the contaminated fluid was not any fun for the assistants either. Thus the need for something better gave birth to the Stat-Mate. 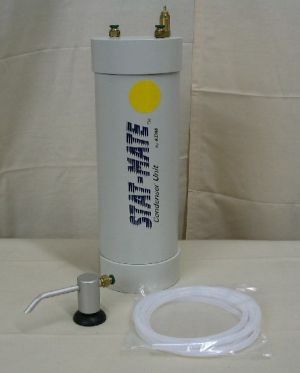 The Stat-Mate is a cylinder with an internal condensation coil. The cylinder is filled with anti-freeze which helps rapidly drop the temperature of the steam allowing only a liquid to exit the condensor. Many Stat-mate installations are routed to a drain or a sink, where they require absolutely NO attention thus making the assistant’s job easier. We chose Kaufman Dental Manufacturing as a marketing partner for the Stat-Mate due to their expertise in sterilizer accessories. The patent on the Stat-Mate is currently pending. The sales of the Stat-Mate have been showing steady growth as the word spreads across the USA. X-Ray exposure cords get tugged on all of the time. They get stretched to their limit around walls, corners, etc. Eventually they break. After replacing numerous exposure cords, it dawned on us that our clients deserved an X-ray exposure cord that was durable and reasonably priced. We decided to use existing telephone cord technology to create a light weight durable product. 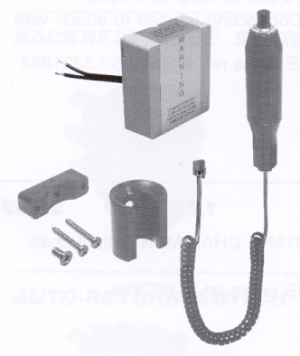 The cord that was designed provides a quick telephone connector on each end. This allows for user replacement of the cord with commonly available telephone cords. Chapman-Huffman was chosen as a marketing partner for this this product due to their fine selection and excellent parts support to the dental repair industry. The sales of the exposure cord continue to grow and at present, no patent is currently being sought. Orthodontic offices that fascilitate SciCan Statim sterilizers have come to understand the meaning of “CHECK CASSETTE ERROR 3”. In Orthodontic practices when they cut off the end of the archwire, the small fragment of wire tends to magnetically attach itself to the end of the cutting pliers. If this small piece of wire is not removed during instrument scrubbing, and the pliers is allowed to enter the statim cassette with the small piece of wire still attached a possible problem can develop. As the Statim heats up, it injects steam under pressure into the cassette. This injection tends to blow the piece of wire off of the pliers. Once off of the pliers the small piece of ortho wire is blown out of the cassette and into the exhaust solenoid where it wreaks havoc and usually generates the “ERROR 3” when it jams the plunger of the exhaust solenoid. We have developed a device that effectively catches and traps these ortho wire pieces before they can cause a unit failure. Our device is installed between the cassette and the exhaust solenoid within the statim sterilizer. The device is comprised of a small deflection container that has a permanent magnet that traps metal debris. This device has been presented to SciCan for development, but, as of yet, has not been mass produced. Draining of an ultrasonic cleaner has never been any fun. Those pesky burs and endo files always manage to clog the drain. The ultrasonics sometimes drain so slow that you can leave for the weekend and come back to an ultrasonic that still has not completed draining. To combat this problem we developed a device that uses a filter cup and a paddle pump. The waste liquid from the ultrasonic flows through the filter cup and gets actively pumped out of the ultrasonic directly to the drain. This device worked well in testing, but due to the cost of the pump it was not practical to market. We are still working on different means to improve upon this device. No one is manufacturing this device for us at this time.